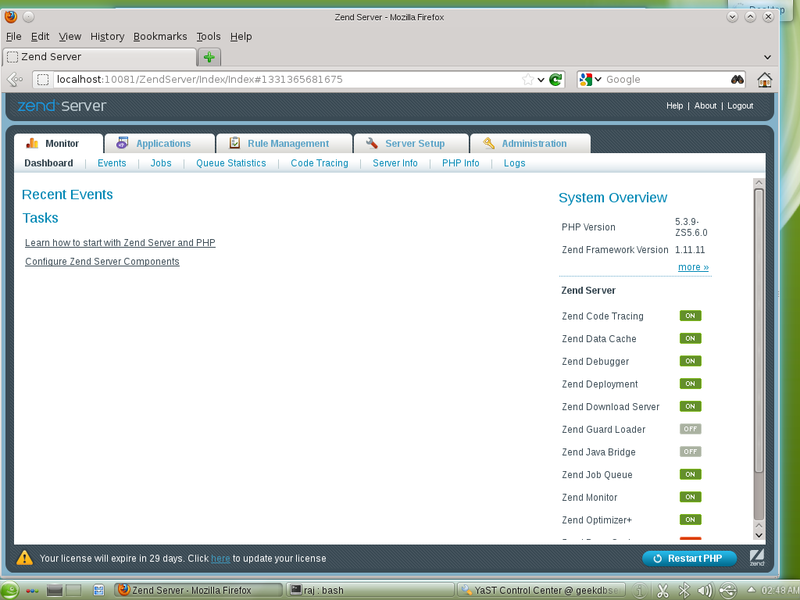 Zend Server Edition contains a subset of features from the full Zend Server stack and runs on Windows, Linux and OS X. 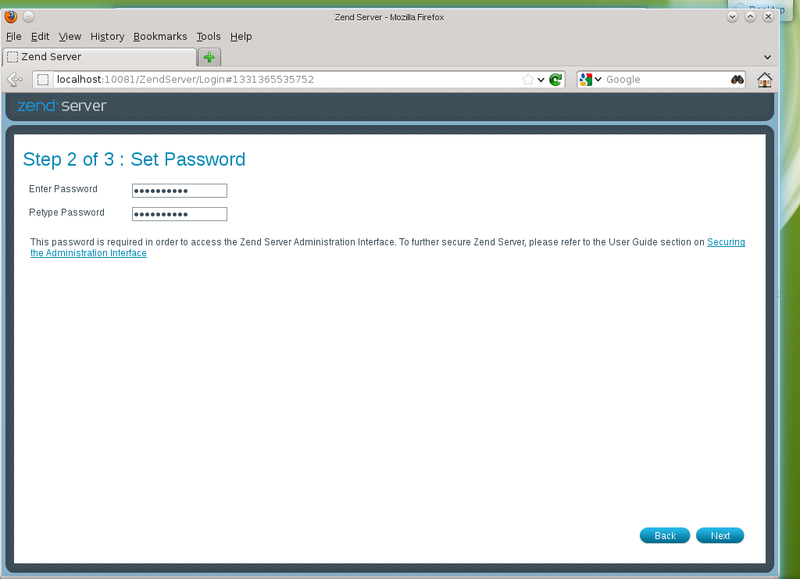 Here is the tutorial about installing Zend Server Edition 5.6.0 on openSUSE 12.1. You can get the trial license for testing purpose. Step 1: Open Terminal and then switch to root user. Step 2: Switch to root user. 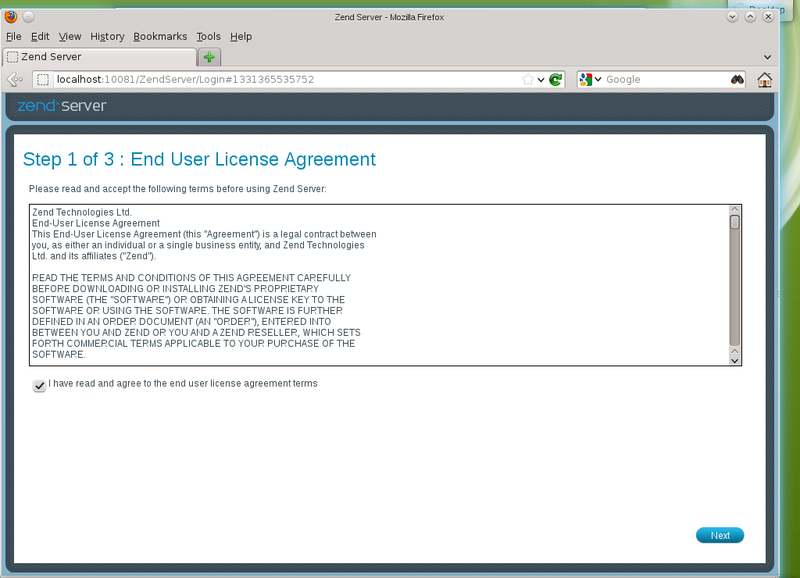 Step 3: Add repository file for Zend Server. Step 4: Add the following content. Step 5: Refresh the system repositories, you might requires to accept the keys while updating the repo caching. 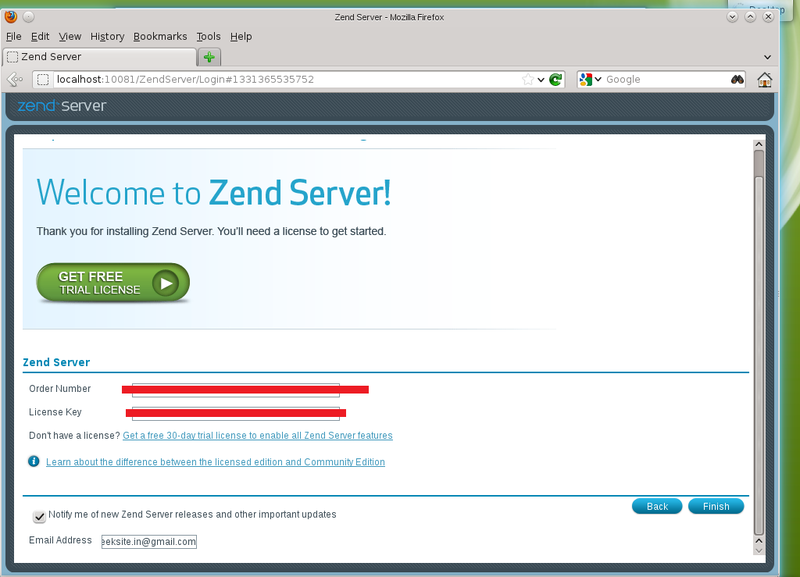 Step 6: Install Zend Server Edition. Enter the trial details and then click on finish. Click HERE to get the trial license.